A woman returned to the home of her childhood after her father’s passing. After the snow melted the next spring, she found a round metallic object halfway sticking out of the ground as she dug a spot to plant her daffodils. She plucked it from the ground, brushed it off, and saw a stylized Greek relief that featured a muscular Olympian shooting a bow, a lion at his side. After she planted the flowers, she took the medal inside to wash it off. It was copper—or at least copper plated. The green-blue patina told her that. It had a metal loop so it could be worn as a pendant. Lovely. What mystified her were two tiny silver-colored objects that poked out between the two halves of the medal. She couldn’t pry them loose, but didn’t want to force the issue, since she feared she would harm the medal if they weren’t meant to come out. On the back side of it was the manufacturer’s name: Hickok. A well-promoted brand years ago, she remembered. Her grandparents, she recalled, spoke of the company’s brand with admiration. She stuck it in her jewelry box, not knowing what to do with it, nor not wanting to part with it. Perhaps she could wear it as a necklace, she thought. The relief’s design was lovely. Later, she found an Art Deco collectibles dealer online who just sold a Bakelite box with the same design—from the same manufacturer. She contacted the dealer. Through him, she discovered that not only was the object from the Art Deco era, but it was actually an item the manufacturer created to promote his other products, such as the box. Not only was it attractive art on a piece of jewelry, but it was also, she discovered, a practical item. According to the collectibles dealer, the two halves of the medal actually opened up to reveal a nail file and a pocket knife. Useful as well as attractive, she thought. She had never considered buying Hickok before. Now she was hooked. Were Hickok still in business, they would have her as a customer. The promotional medal is even today marketing the company’s products. Due to the medal’s quality, antiques and collectible dealers who have Hickok collectibles on their shelves are still reaping the rewards of Hickok’s marketing strategy, decades later. The company’s brand, like the promotional material, endures. That gave the woman an idea. A copywriter, she had a client who also helped businesses market their products with promotional gear. Like Hickok, he manufactured useful promotional gear from quality materials, crafted with care and bearing attractive designs. But her client, however, didn’t manufacture wearable nail files. In modern-day America, swag manufacturers create their promotional nail files from cheap imported plastic and metal that would rather bend than shave off the excess of a too-long fingernail. These cheap giveaways, unlike Hickok’s medal, get thrown in the trash can more often than not. Nail files aren’t a high-end way to promote one’s business these days. Her client, on the other hand, created promotional wear. Their clothing’s striking designs and creative turn of phrase made heads turn as their wearers strolled the streets, walking billboards for his clients’ products. Quality, she thought, never wears out its welcome. Like Hickok’s medal, these garments, with their expertly-designed logos, continue to promote their buyers’ businesses for years on end. Someday, they, too, may end up in a collectible dealer’s shop—as many vintage promotional t-shirts have already done. High-quality promotional wear is today’s class-act giveaway. 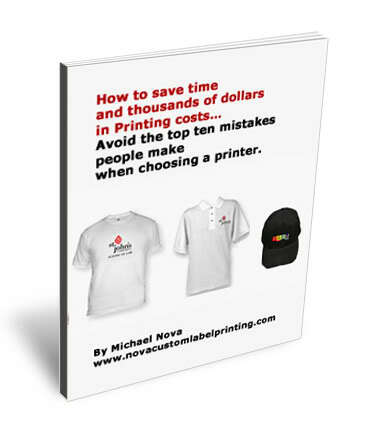 Practical, wearable, and affordable–practically every business can afford to market its brand with finely-crafted promotional wear. Promotional wear, after all, does Hickok’s wearable art one better. It allows businesses to overcome the challenge of visibility to promote a brand with highly-visible logos and slogans. Visibility and lasting quality—that’s how a business can achieve marketing success. To Promote a Brand, What’s Better Than a Billboard?